Will Birds Find My Feeder? Location. Location. Location. 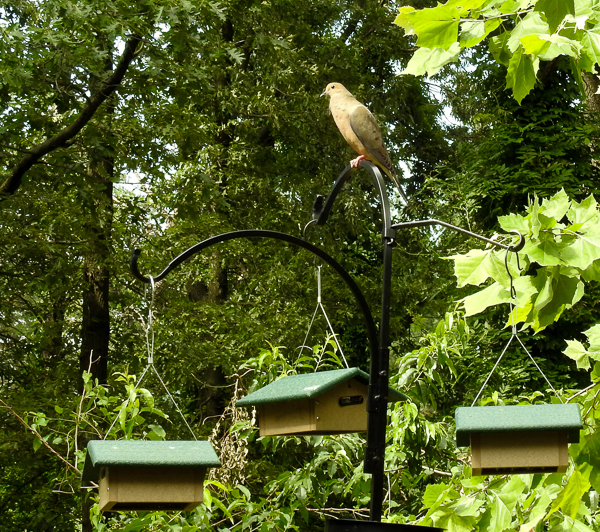 Where you put a bird feeder matters. You want to place it where it is close to cover . . . but not where a cat or other predator can hide to pounce. You want to place it within three feet of a window or more than thirty feet out to reduce window strikes. You want to place it so that squirrels can’t reach, climb or jump to the feeder and so that raccoons can’t grab it and carry it off. And you want to place it so you can see it! 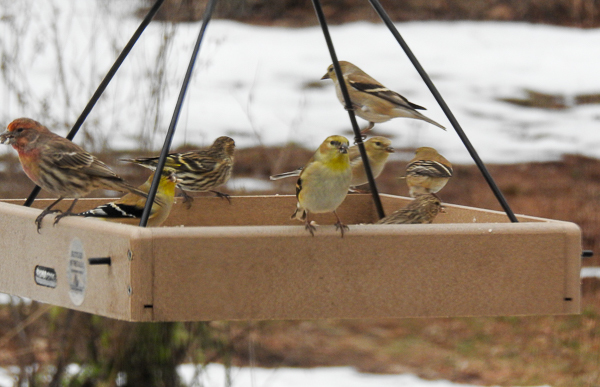 If you only put out feeders for a portion of the year, it may take one or more weeks for neighborhood birds to find the feeder, again because they are not used to finding one in your yard. 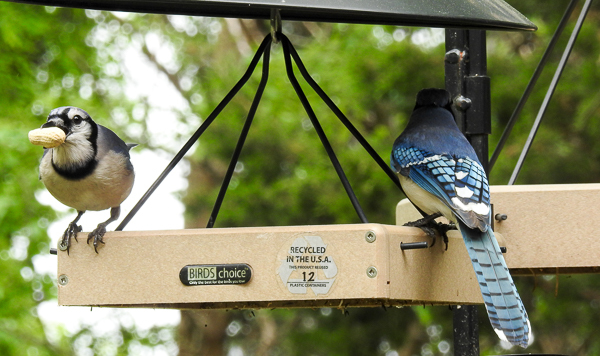 If you add an additional feeder to your yard that is a new type of feeder and/or offers a new type of seed, it may take a week or two for birds to find the feeder and/or begin using it. 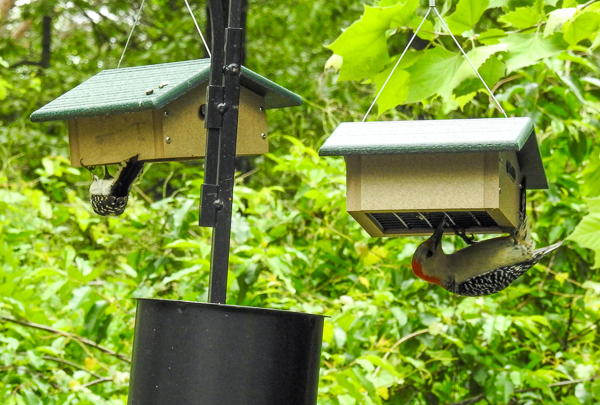 This is especially true of nyjer seed feeders meant to attract American Goldfinches; these can take weeks. If you add an additional feeder to a new place in your yard that is well away from other feeders, (for example in the front yard instead of the back), it might take a few days for the birds to find it, depending on the size of your yard. 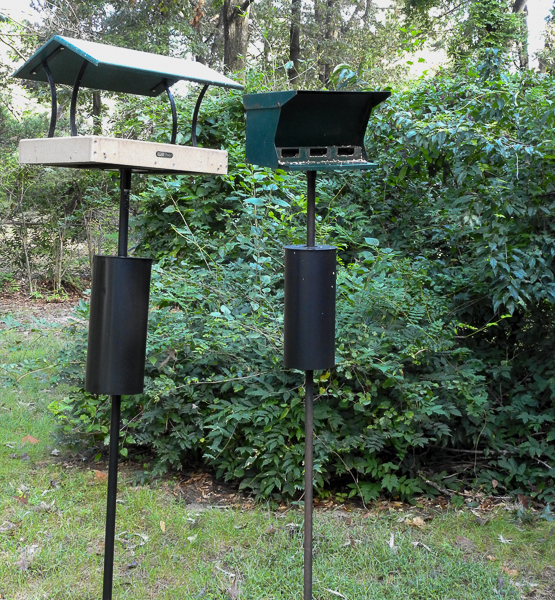 If you add an additional feeder very close to an existing feeder that is being regularly used by birds, it is likely that it will be discovered within hours. 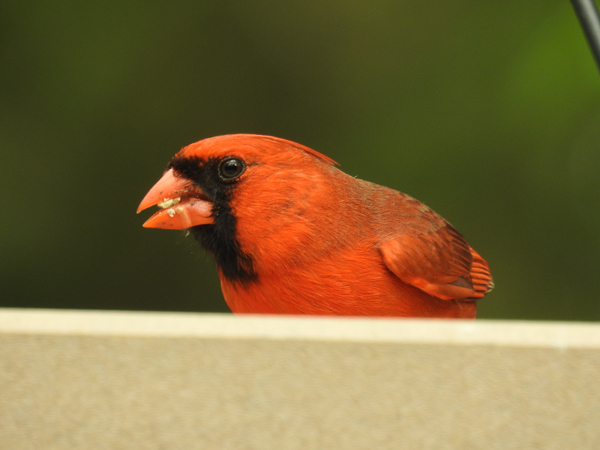 If you add a new feeder that is very different than previous feeders you’ve had (or have) in your yard, the birds may be a little skittish about it. It may take them a few days to figure it out. Once one brave bird has figured it out, others will watch her use it and try it themselves. 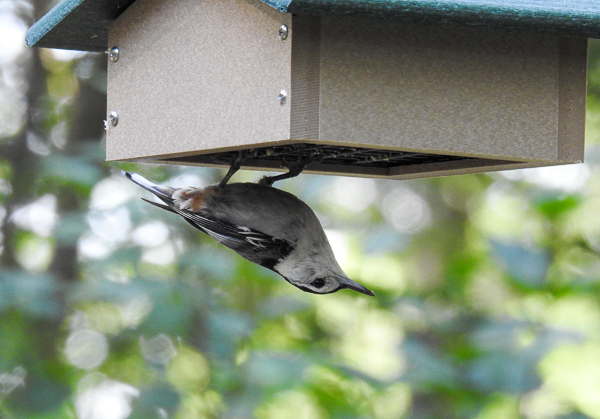 If you add the house type of upside down suet feeder and the birds have never seen one, they may not realize that there is suet hidden inside. 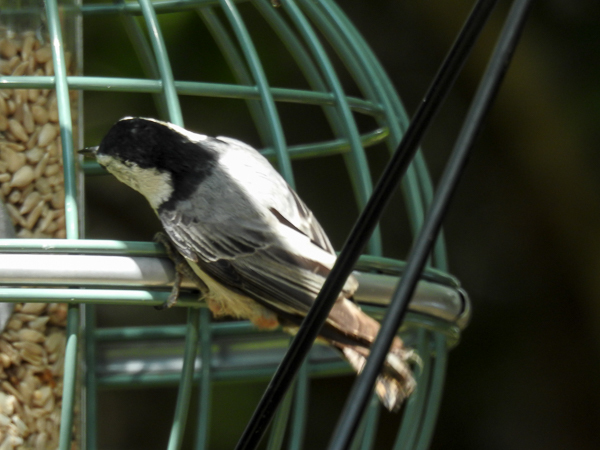 You may need to position an open cage type suet feeder underneath temporarily to help them find it. If you place a feeder in a location where they feel they are in danger, they are less likely to use it, even if they know it is there. This may vary by bird. I found that a suet feeder placed at an inside angle of the house outside my dining room window was shunned by woodpeckers, but a hummingbird feeder placed there has been in use for several years now. I suspect this is because a woodpecker is more likely to worry about the local hawks than a hummingbird and wants more escape room. 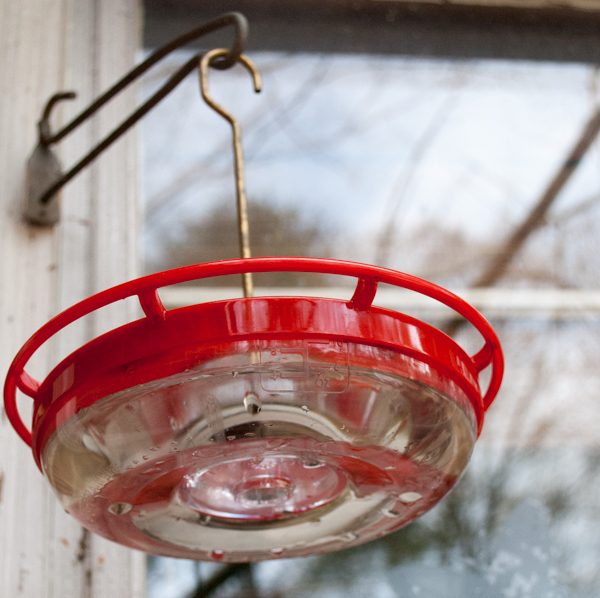 If you move an existing feeder that is in use within sight of the old location, it is likely that the birds will discover and use it within hours or a day. Backyard birds are often very routine oriented but the world is a changing place so they are also flexible when things change. 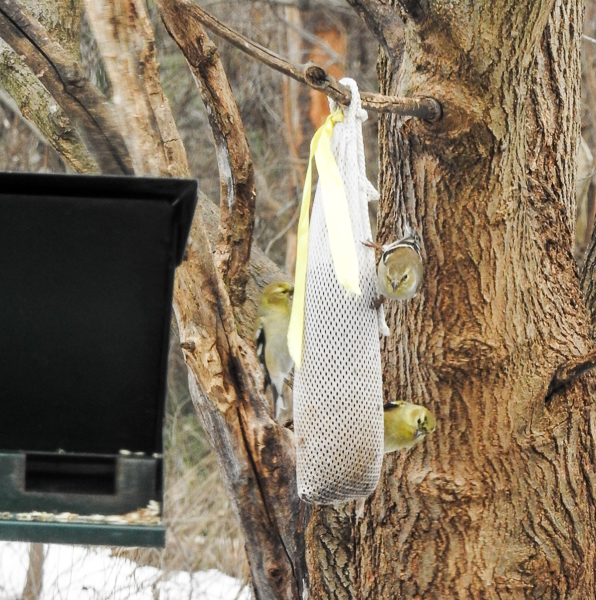 If the change in feeder location is just a few feet, they are likely to notice and may briefly puzzle over it, but will likely quickly take it in stride. I recently rearranged the positions of a pole holding three hanging feeders. 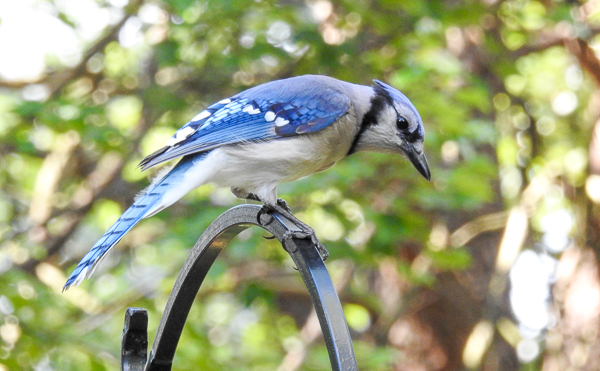 The first Blue Jay to visit it was visibly taken aback that his usual branch where he lands first, was no longer lined up the same way for his approach to the feeder. It took him a minute to shift to a different branch and then go to the feeder. If you want to drastically change the location of a feeder, you might consider doing it in stages over a several days so that each move is within eyesight of the last location. When I was trying to attract American Goldfinches to my yard and one showed up in a flower garden in the back yard, I used sock feeders filled with nyjer seed to create a breadcrumb trail from the garden to the nyjer feeders on the side of the house, with each sock feeder within eyesight of the last. Over the course of several days, the goldfinch and his friends gradually followed the trail and discovered the nyjer tube feeders. 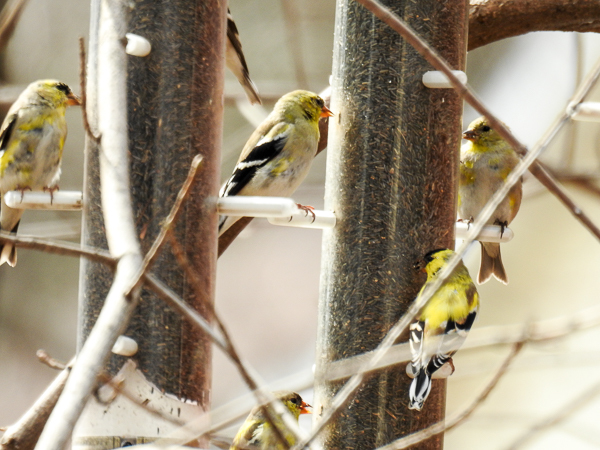 To figure out what location is best for the feeders in your yard, you’ll just need to give it a try. Think about where you might place a feeder. Consider the possible pros and cons of that location. If you think it is a good spot, give it a try. If it doesn’t work out, move it! Keep an eye on it for the first few hours or days to see if there are problems with the location that you didn’t anticipate. It can be hard for people to think like a bird; a spot that makes sense to us might be too close or too far from something else. For example, when I moved two feeder poles within six feet of each other, one with feeders full of safflower and sunflower hearts and the other with suet feeders. The Mourning Doves and House Finches started using the tops of the suet feeders and their pole as perches to wait for their turn at the safflower/sunflower, which was keeping the woodpeckers away. Moving the suet pole a few feet one direction and the safflower/sunflower pole a few feet the other way took care of the problem. (Now the Mourning Doves and House Finches are back to waiting for their turn on a nearby tree’s branches.) Watching a feeder will also alert you if you’ve misjudged its availability to squirrel incursions so you can move it if needed. Figuring out where to put a feeder is an interesting puzzle. To find the right spot, you need to be willing to experiment and be a bit patient! 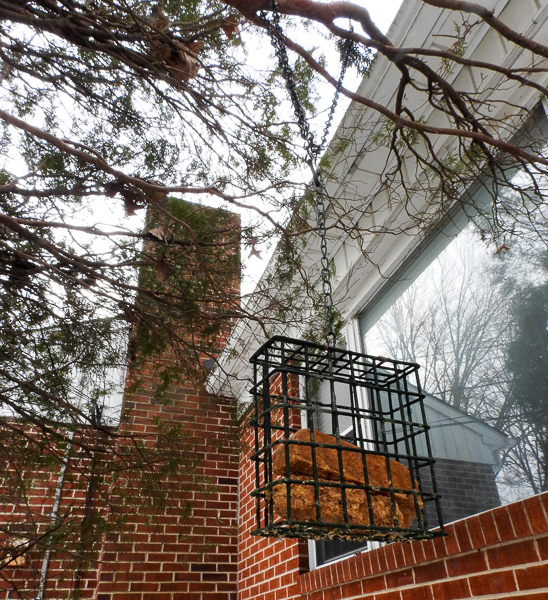 Where to Hang a Suet Feeder? ← My Newest DIY Birdbath Has Something to Hide!